The V85 Speed Holster was developed by and for police officers. It serves as the foundation for the G3 LED Holster Kit. This revolutionary holster allows operators to increase the draw speed of a flashlight; especially when pairing one with a handgun. The V85 securely holds, in a bezel-down manner, most SureFire flashlights with a 1.25 inch aluminum bezel. 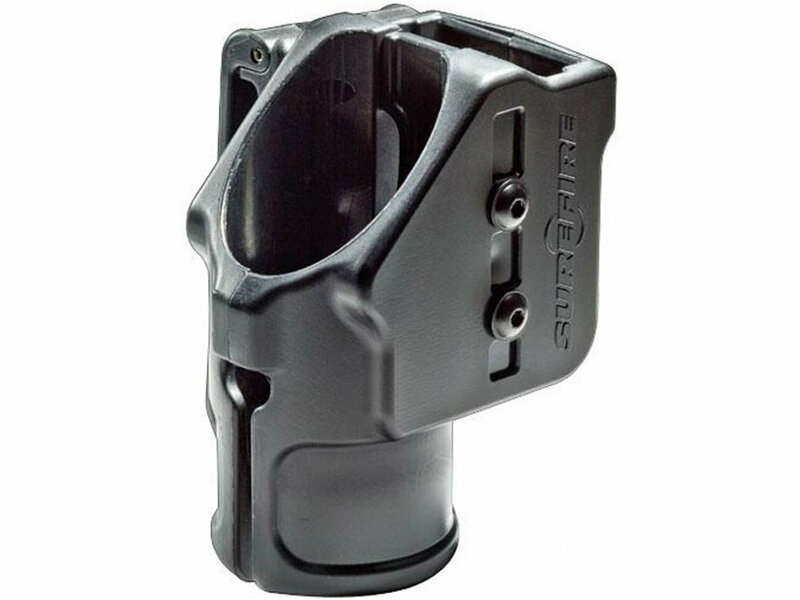 This rugged holster, which can be modified to fit right and left-handed operators, can also be angled to match personal preference or to fit department standards. The V85 holster ensures that your SureFire light is always around when it's needed, it holds three extra batteries, and it securely fits belts up to 2.25 inches wide. Adjusts to fit various belt widths up to 2.25"